The Archer’s Choice has an improved LCD display with an LED backlighting that allows selection of the mode that contrasts best against subject and background. 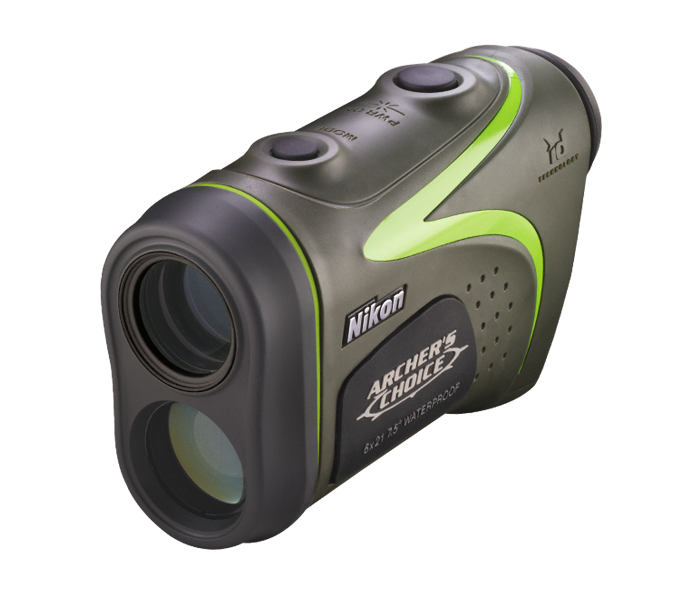 The uncluttered screen displays ranges out to 600 yards with Nikon’s trademark speed and accuracy in .1-yard intervals. The Archer’s Choice Rangefinder conveniently fits in a pocket or a pack, and can be worn on a belt without interfering with your shot. Comfortable to carry and use all day long in any of the toughest situations your hunt can present. For fast, easy measurements, the single button operation of the Archer’s Choice is simple to use and automatically powers down after 8 seconds to reduce battery use.